An ISO 9001:2008 certified company, Aesteiron Steels is India's #1 source for API 5L line pipes,API 5L Grade B Pipes, API 5L Grade B carbon steel seamless pipes,stainless steel pipes and stainless steel tubes including SS304, SS304L, SS321, SS321H, SS316L, SS347H, SS317L, Duplex 2205/UNS 31803, Super Duplex 2507, 904L and stainless steel 446. 304/304L stainless steel pipes/tubes and 316/316L stainless steel pipes/tubes, ASTM A335/ASME SA335 P5, P9, P11, P22, P91 grade alloy steel pipes and alloy steel tubes, ASTM A213/ASME SA213 T2, T11, T12, T22, T91, T92 grade alloy steel pipes and alloy steel tubes. 30000+ clients in China & 70 countries. We supply high precision Steel Pipe/ Tube & high quality alloy grades tube & tubing to Oil And Gas, Nuclear And Power, Aerospace, Chemical Process, Medical, High Purity and High Performance. 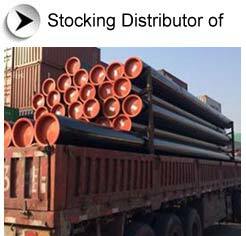 Aesteiron Steel Pipes is a specialist supplier & distributor of all types of Steel Pipes & Tubes in China, please contact us for Free Quote in Maximum 4 Hrs.